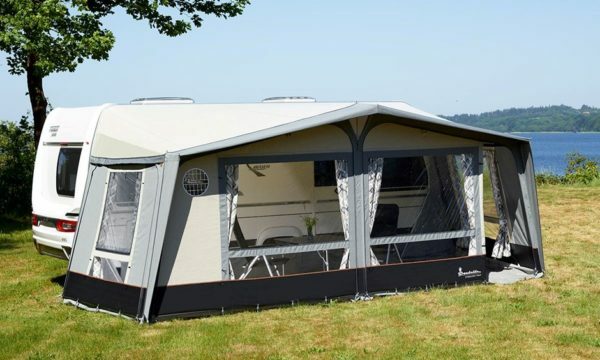 With more than 30 years on the market, Isabella’s customers rightly expect a lot of the ‘Ambassador’, the ultimate touring awning which is straightforward to put up. Relatively light in weight, with a depth of 2.5m it offers all the opening options you could possibly wish for. Ambassador Dawn has a mosquito net panel in both sides and is made of Isacryl for a pleasant indoor climate. The roof is coated on the outside and has a patterned inside, which minimises the formation of condensation. 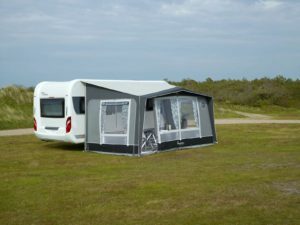 For a good, natural inflow of daylight, and to ensure that the awning is a light and ­accommodating place to spend time, Ambassador Dawn has large, panelled panorama windows in the front. Ambassador Dawn is part of the Dawn style concept, i.e. a mild and subdued tone-on-tone colour scheme inspired by the misty morning landscape. 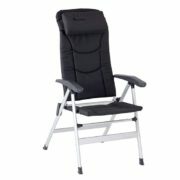 Size Range: A850– A1175cm – Special sizes available, please call for more info. 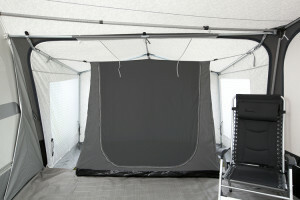 Special details – Integrated top ventilation, mosquito net in both sides. Supplied as standard – Collage Sand curtains. 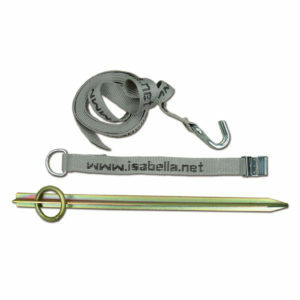 Veranda pole, draught skirt, wheel arch cover, FixOn, Typhoon storm sashes awning bag, pole and peg bag including peg remover.